Being confident and satisfied one minute and worrying the next one. Sounds familiar? Mood swings are in our nature, but having some mental illnesses like burnout can lead to moodiness at work. When you try to deal with stress, erratic moods are normal. At the same time, your colleagues with mood swings may have an influence on you as well. Sigal Barsade, Ph.D., claims moodiness affects not only you but your coworkers as well. She has revealed an effect of emotional contagion, and both positive and negative emotions can be contagious. Working in groups, employees are more likely to mirror the same emotions. If your coworker is moody and depressed at work, you can “catch” that mood fell down yourself. If you have rapid changes in mood, pay attention to your mental health. 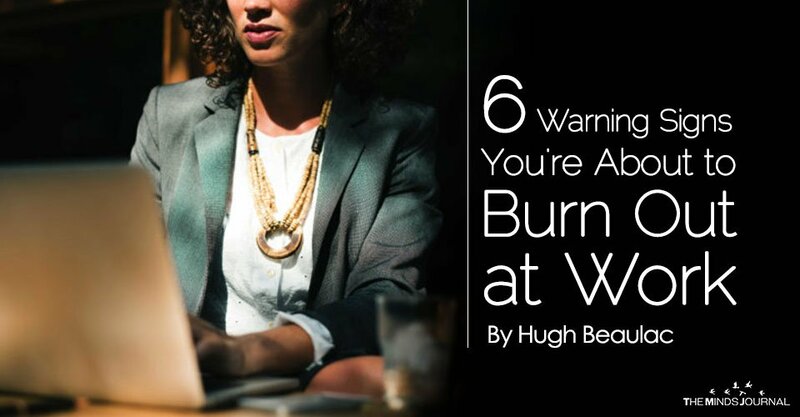 As it can be a warning sign that you’re about to burn out. If you’re not satisfied with your work, it may lead to mental tiredness. Mental fatigue is physical and emotional exhaustion that requires concerted effort to do simple things, and it appears when you have a negative attitude toward tasks, colleagues, and events. If you feel tired and lack the energy to accomplish your daily duties, it’s more likely you’re in the early stages of burnout. Although all people can feel tired at work from time to time, a state of chronic mental exhaustion can be a warning sign of burnout. Once you feel overwhelmed by your normal tasks, it can be a sign of exhaustion. There’s a difference between pushing back extra workload and neglecting your responsibilities. If someone wants to delegate their duties to you and you want to avoid taking an extra load, that’s fine. But if you try to forward your responsibilities to other people, it’s a warning sign that you’re about to burn out. At the workplace, you have a set of work duties that you need to perform. When you feel mentally exhausted, you start postponing these tasks. That’s how procrastination appears, and it negatively affects your job performance. Once you beat procrastination, you start overcoming burnout. Job performance is your cup of tea. You know your duties, and you know the employer’s requirements, so you can perform on a good level. But, one day you feel that you can’t complete the task on a satisfactory level, and you fail. The next day you fail again, and again, and again. The number of your tasks is kept on growing, and your job performance is kept on falling. What does it mean? It’s about your poor job performance as you’re not productive enough to complete your duties on time. If you start realizing your job performance is falling behind your colleagues, it’s high time pay attention to your mental health. It’s another workday and you have many plans to accomplish. However, you can’t keep focused on the job. You feel demotivated to get into it. The good news? You’re not alone. The numbers speak for themselves: only 30% of U.S. employees feel engaged and inspired by their careers. Although all people have days at the office when we just can’t stay motivated, it’s important to know the root of your demotivation if you feel a lack of inspiration more often than note as it can be a sign of burning out.